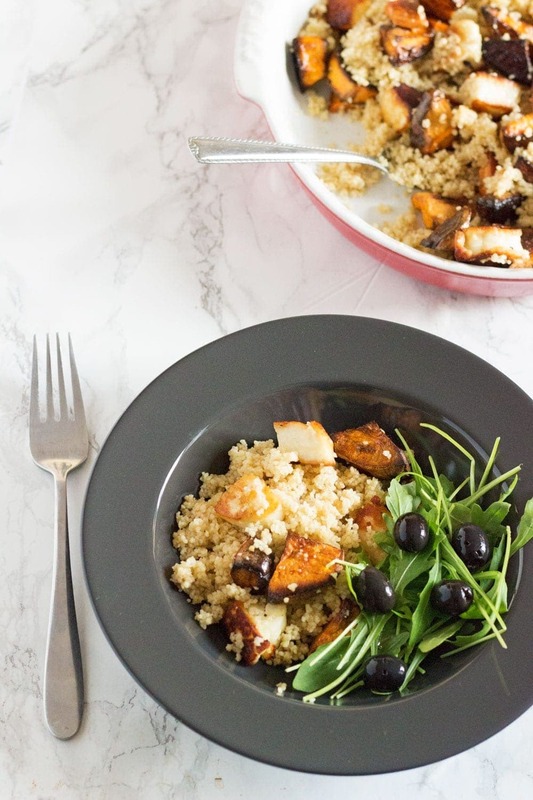 This vibrant halloumi, sweet potato and bulgur wheat salad is full of saltiness from the halloumi and olives and creamy sweetness from the sweet potato. Halloumi is one of my favourite things to add to a salad. 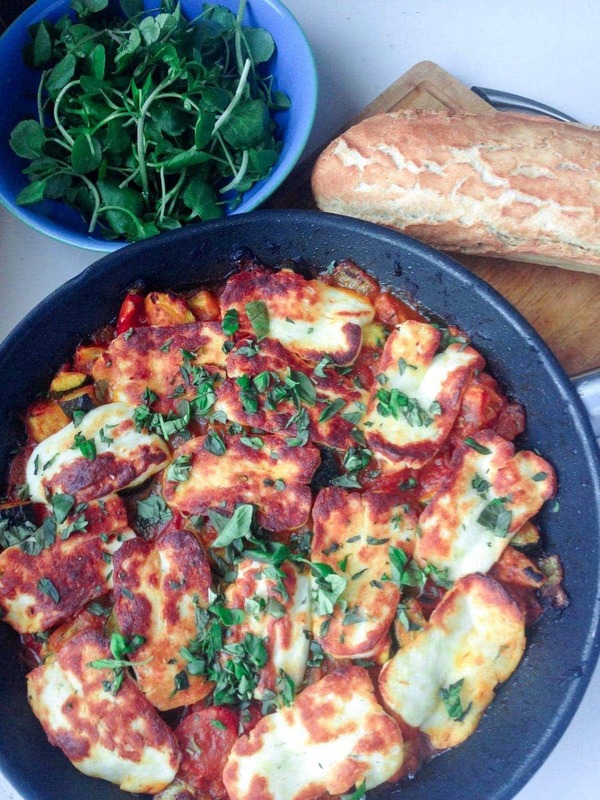 Especially when I’m trying to go meat free, halloumi is pretty much indispensable. 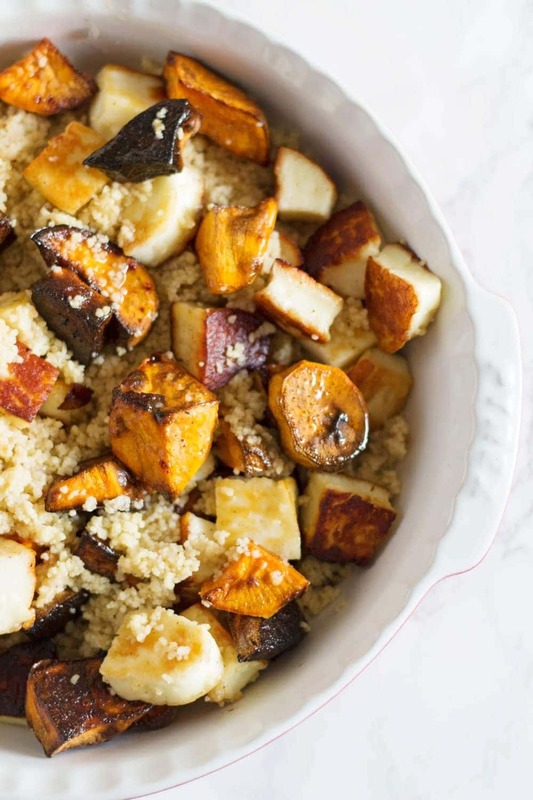 It goes really well with grains too, like in this harissa halloumi salad with couscous and of course in this halloumi sweet potato salad with bulgur wheat. I’m really not much of a salad person. For me to eat salad it needs to involve a lot more than just salad ingredients. And preferably at least one carb. 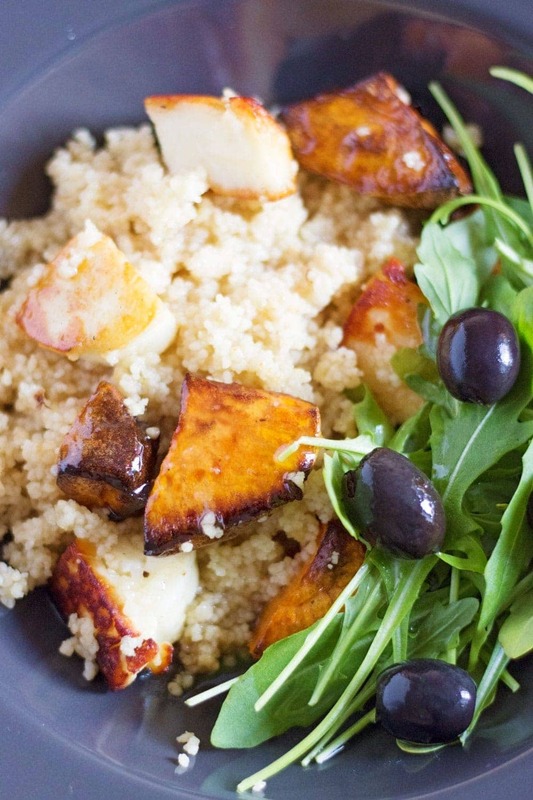 This halloumi, sweet potato and bulgur wheat salad is pretty much my perfect salad. There is green though so it totally counts as a salad. And it comes in the form of peppery rocket (arugula) which gives an amazing freshness to the whole salad. In terms of lettuce I think we can all agree that rocket is a solid favourite. It adds so much more flavour than your average lettuce leaf. What do you guys like in your salads? I think cheese is almost as essential as carbs. Feta, goats cheese, a shaving of parmesan. Halloumi works amazingly in this salad. Apart from being in my top five cheeses (legit though, it would be way too hard to actually make that list), the salty flavour of the halloumi with the slightly charred sweet potato is like heaven. We had a light, lemony chilli dressing over the whole thing. Plus there’s olives. I really love olives. You can really make this salad your own, add as much or as little rocket and olives as you like. 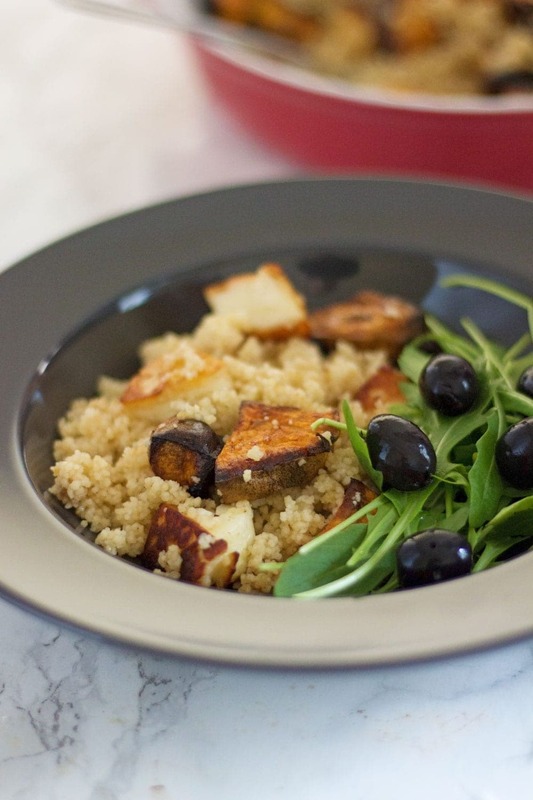 I’ve included the basic recipe for the bulgur wheat salad and the halloumi and sweet potato but the rest is pretty much up to you! Oh, and if you want to add more traditional salad ingredients (tomato, cucumber etc.) then they would work so well in here too. 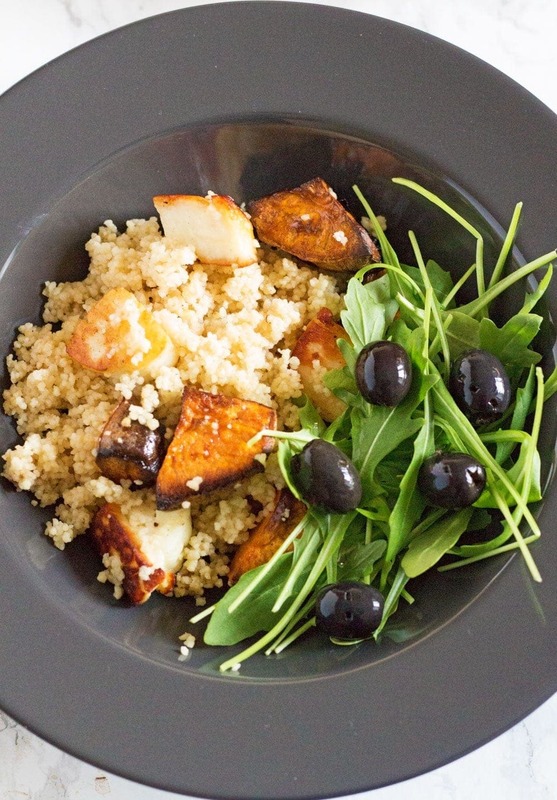 WONDERING WHAT TO DO WITH THE LEFTOVER INGREDIENTS YOU’VE GOT FROM MAKING THIS HALLOUMI, SWEET POTATO & BULGUR WHEAT SALAD? Preheat the oven to 200°C. Place the sweet potato, a tablespoon of olive oil and a big pinch of salt and pepper on to a baking tray. Place in the oven and cook for 30-40 minutes until softened and slightly charred around the edges. 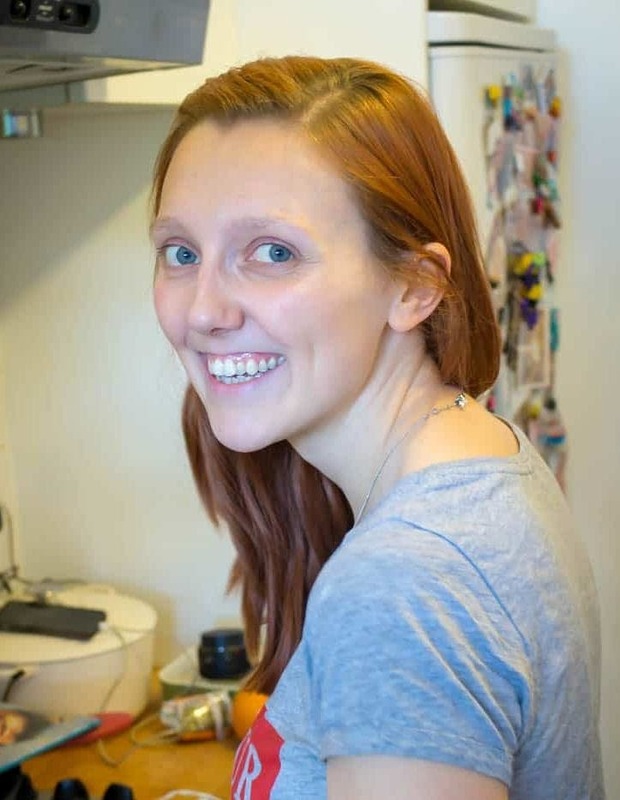 While the sweet potato is cooking, heat a pan over a medium high heat with the 3 tablespoons of oil. Fry the halloumi until it has browned on each side. Place the bulgur wheat into a large bowl with a pinch of salt. Pour over the chicken stock and leave to sit under a clean tea towel until cooked, about 10 minutes. To make the dressing. Place all the dressing ingredients in a bowl and whisk together. 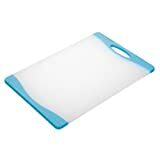 Chill until ready to use. 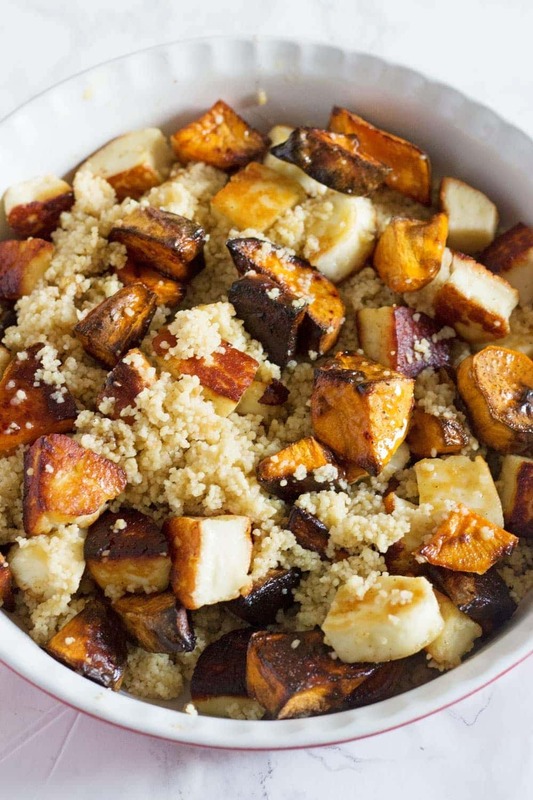 When everything is ready place the sweet potato and halloumi into the bowl with the bulgur wheat and gently stir together until everything is mixed. Pour over the dressing and mix again. Serve onto plates and top with the rocket and a few olives. I totally get you on needing a little carb in a salad. I do love your combination here. 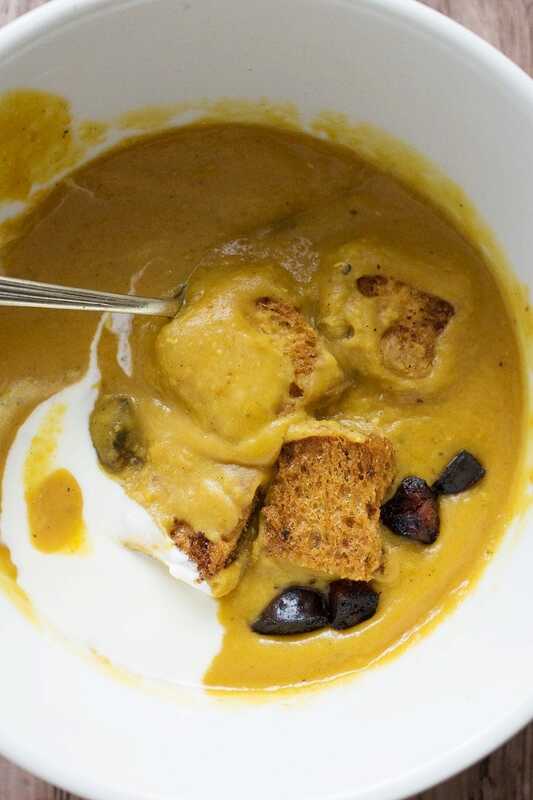 The haloumi and sweet potato sounds wonderful together. So many lovely flavours in one dish. I do very much love halloumi, and is a nice change from feta for salads. The additon of tasty olives is perfect. I’ve been looking for hearty salad options and this one looks perfect! 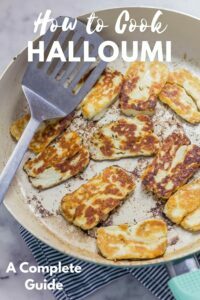 My husband and I both love halloumi so I think this would be a winner at our house! You always combine my favourite flavours! I’ve never thought about using halloumi in a salad like this before. Definitely going to try it. You’re so right, a great salad has to have a bit of carb, and this one looks hearty enough to make a meal out of, I love the unusual ingredients in this one, and I’ve actually never had halloumi, where have I been? ?